Move-in ready home w/ FRESH paint in a great neighborhood. HVAC 2015, Roof 2008, Two living areas, over sized rooms, open kitchen. Located across from Neihaus Park w/ community pool, trails, skate park, disc golf, walking trails, and playground. Also has a neighborhood park w/ walking trails & a playground. WALK to BA Schools K through 8th grade! Seller will replace carpet prior to closing with acceptable price and terms. 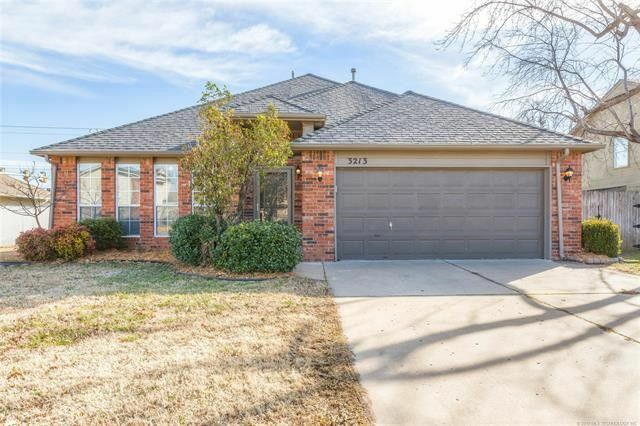 This home is located close to shopping, schools, dining and entertainment!! Directions: From E 51st Street and S Lynn Lane Rd, south on S Lynn Lane Rd. West on E Juneau St. South on N 8th Pl.Home is on the left.